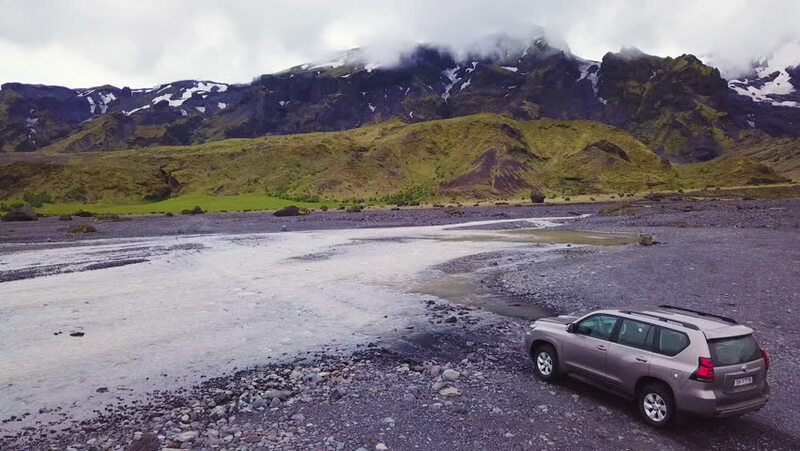 ICELAND - CIRCA 2018 - Aerial over a Toyota 4x4 driving through a river in the highlands of Iceland. 4k00:55ICELAND - CIRCA 2018 - Aerial over a bus driving through a river in the highlands of Iceland. 4k00:11Tight Profile Shot of a Car Driving in an Empty Landscape.